After adding a stickers’ marketplace and allowing calls to landlines and mobile phones, Viber announced the launch of Microsoft Windows 8 app. With this move, you can now send messages and make calls from any Windows 8 computer or tablet to other Viber users. In addition, Viber syncs calls and contacts and messages across all devices, so you don’t have to worry for losing important information from tablet to desktop or vice versa. Among other, it uses the live tile look-and-feel of the operating system. In order to make the app even more accessible, Viber has added the functionality of pining the app or any conversation directly to start screen for ease of access. 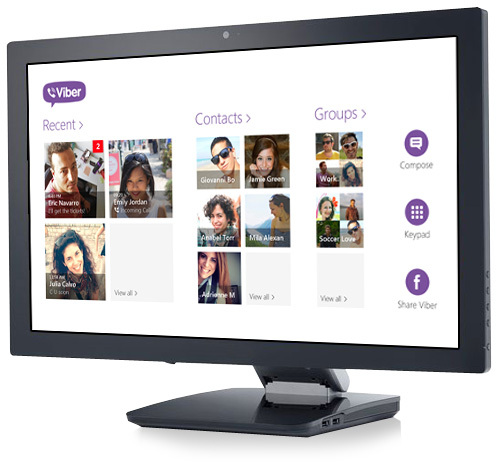 If you are using Viber for Windows 8, let us know about your experience!